Depending on your home country’s agreement with Australia, and your visa status, you may be entitled to Australia’s national healthcare service, more commonly known as Medicare. Those on permanent visas are entitled to the same Medicare benefits as Australian citizens. Reciprocal Health Care Agreements with some countries to cover Australians for the cost of essential medical treatment while they are overseas. Medicare entitlements for visitors to Australia are related to the public health care coverage Australian nationals would receive in the visitors’ home country. For example, UK nationals receive cover for hospital treatment and subsidised medicine, while Irish citizens are covered for emergency treatment only. The following countries are covered under reciprocal agreements with Australia for medically necessary hospital treatment, subsidised medicines etc. : the UK, Sweden, the Netherlands, Belgium, Finland, Norway, Slovenia, Malta and Italy. The duration and conditions of coverage vary by country; check country-specific details on the Medicare website (link opens in a new window). In order to receive Medicare cover; once you have arrived in Australia you will need to enrol at your local Medicare office (if you’re eligible). There are several Medicare offices located within each of the major Australia CBD’s, as well as additional offices in the more remote regions. The Medicare Australia website provides an online search tool to help you locate your nearest service centre. When you enrol, you need to show the Medicare staff original or certified copies of documents, such as your birth certificate or passport, to prove you are eligible. If you aren’t sure call your local service centre to check what documents you need. 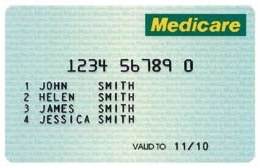 Once you have registered with Medicare, a Medicare card will be issued. Your Medicare card is required for claiming a Medicare benefit, visiting a doctor who bulk bills, seeking treatment as a public patient in a public hospital or having a Pharmaceutical Benefits Scheme prescription filled. When you receive your Medicare card you’ll notice that the card lists the names of the people covered by the Medicare account and the Medicare card number that will be used when billing for services. When visiting a doctor or pharmacist you’ll note that a number of billing options are made available. These differ dependent on the service. Bulk billing is when your doctor bills the Australian government directly for the full payment for their service. You can’t be charged any additional costs such as a booking or administration fee, or a charge for bandages. A patient account is when your doctor charges you directly. You can claim benefits from the Australian government for this cost. You can also submit a Medicare claim form by mail or in a drop-box at a Medicare Service Centre. If you have registered your bank account details via the Medicare website first, you may be able to claim any benefit electronically. If your doctor offers electronic claiming, practice staff will lodge your claim with the Australian Government, either through the practice’s EFTPOS terminal using your EFTPOS (Bank) card, or through a secure internet connection. 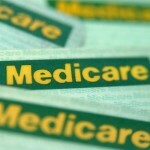 Your Medicare benefit will usually be paid into your nominated bank account the next working day, sometimes even sooner. You can also lodge some Medicare claims online through Medicare Online Services. You can submit claims for anyone listed on your Medicare card; however you need to register your bank details via the Medicare website before being able to do this online.